"Fun, fun fun. We've got roving entertainers throughout the festival grounds. We've got all kinds of cool activities for children in the Kumquat Kid's area. And the energy is unbelievable. We've been putting on these sorts of festivals for 7 years now, and it never gets old. There's something magical when so many compassionate and energetic people get together for the weekend. But just remember to arrive hungry--you won't go home that way!" 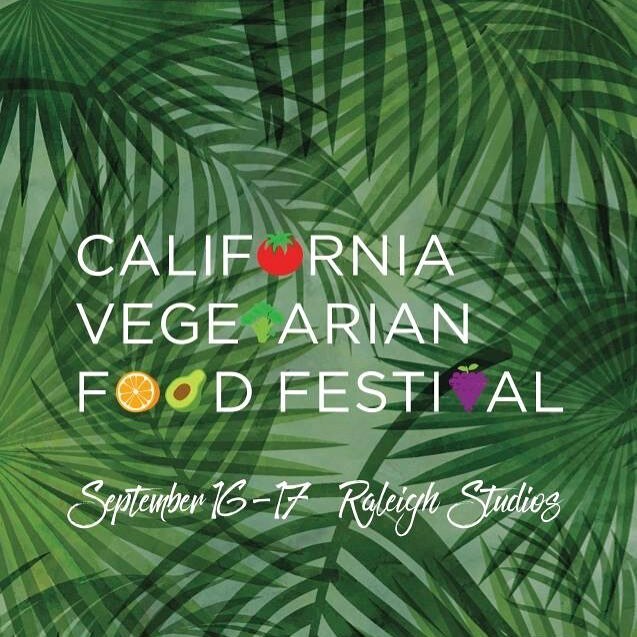 That's how Sarah Gross, co-founder of U.S. Veg Corp, pitches the California Vegetarian Food Festival, which takes place September 16-17 at Raleigh Studios in Hollywood. The 2nd annual festival will have beer, wine and cocktails, benefit the Best Friends Animal Society and be a showcase of 100% vegan innovation and goods, with cutting edge plant-based food, live music, fitness classes, kids’ activities, Saturday night film screening and more. 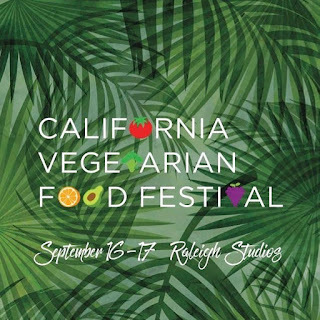 I had the opportunity to conduct an email interview with Gross and Nira Paliwoda, the other co-founder of U.S. Veg Corp, so here you go, a snapshot of the festival and the state of vegetarianism. GeorgeEats: This is year 2 for the festival--how are things different from last year? 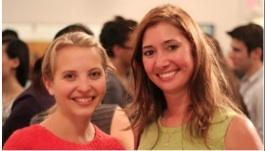 Sarah Gross: We've got two days plus a Saturday night movie screening. Last year was only a single day. Also last year we were completely outside, and it was kind of warm. This year, we've got vendors inside as well, so that heat-sensitive products such as chocolate ought to be tempting. Several of our speakers are returning for an encore since their talks were so well-received last year. But we've got new speakers too, because there's always new research into the benefits of a plant-based diet. Nira Paliwoda: All across the board, it’s bigger and better. More speakers, more vendors, more entertainment, more chef demonstrations, more activities and more surprises. We are celebrating all aspects of a well-rounded plant-based lifestyle which includes giving back. This year we are raising awareness and money for our charity partner, Best Friends Animal Society. GeorgeEats: Obviously we are in some strange times politically. Has vegetarianism had to face any backlash in the Age of Trump? Sarah Gross: Our first CAVFF was just days after Trump was elected. We feel there was a somber mood and lower attendance than there otherwise would have been. We haven't seen outright backlash to veganism though, not more than usual. Nothing in-your-face or anti-veg, in the way that now people are seen openly with swastikas. Eating healthy and living sustainably really are non-partisan issues. I really can't imagine how anyone could be against these things. We always try to stay positive at the festival. We don't shame omnivores; on the contrary, we invite them in to sample some amazing new cruelty-free products they probably haven't ever tried before. GeorgeEats: I'm sure it's always hard to choose, but if you were going to pick a few highlights of the weekend, what would they be and why? Sarah Gross: I'm perhaps most excited for a superwoman panel which will feature actress/model Simone Reyes, journalist/author Jane Velez Mitchell, Katie Clery from World Animal News, and Judie Mancuso of Social Compassion in Legislation. These are all powerhouses in the world of veganism and animal rights--to have them all on one stage will be amazing. The Emmy-nominated comedian Charles Horn will be back this year; he gives a terrific talk on how Hollywood can aid in the push for animal welfare. And there will be about 70 vendor booths, many of which will be offering free food samples--that's always a delicious highlight! Nira Paliwoda: The live entertainment this year is off-the-charts. We have a stellar line-up of multiple award winning musicians, including multiple Grammy Award-winning artist Timothy Bloom. We also have some incredible vegan chefs demoing their skills such as Jacques Laventure aka “The Naked Chef” showing us how to make Texas BBQ Pulled Jackfruit and Yovana Mendoza aka “Rawvana” making Creamy Pesto Zucchini Noodles. Plus I have to mention the slew of kids activities, dance, meditation and yoga classes, and for those interested in something a bit stronger, there will be alcohol! GeorgeEats: People always joke that bacon is the gateway drug to "convert" vegetarians to eating meat. What's the gateway food that would convince someone to become a vegetarian? Why? Nira Paliwoda: I don’t think it’s just one food. There is so much out there now that tastes so close to meat and dairy that it’s virtually indiscernible. For example, Jackfruit is an amazing bbq pork/meat substitute. Also with the many delicious vegan milks and ice-creams out there such as coconut, pea, almond, rice, etc. there really is no reason not to switch over. GeorgeEats: What's the most important thing people don't understand about the importance of being at least a flexitarian? Sarah Gross: They may not realize that a vegan lifestyle does good on 3 different fronts at once. First, some understand that a plant-based diet is better for their health. There are numerous medical studies that prove this, and there are more in the literature every day. Second, veganism is a humane lifestyle. It is so empowering to know that the foods in your fridge and on your table have not contributed to the suffering of other sentient beings with whom we share our planet. Even just cutting down on the animal-based products will cut down on the overall quotient of suffering. Third, Mother Earth will thank you. Growing vegan foodstuffs uses far less natural resources than growing animals for food. If you're concerned about climate change or vanishing rain forests or species degradation, going vegan is a powerful corrective for all these problems and more. Nira Paliwoda: Just like it’s important to vote, whatever drives you, be it your health, the animals, the environment, each meal counts to the greater good. If you eat more plant-based products you are supporting all three initiatives. Even if you aren’t able to go 100% vegan but do increase your plant-based food intake, you thereby help decrease the demand that leads to things like factory-farming while improving your overall health. Logically, it makes perfect sense. Paliwoda choose to sum up the event this way: "This is a festival for everyone, young and old, vegan and open-minded omnivore alike. Come with a curious mind, empty belly and a willingness to be overwhelmed with a full weekend of family-friendly entertainment, activities and, of course, a plethora of delicious food!" I am really appreciate the blogger which provides the theraphy research details and increase my knowledge.I am also looking for such type of info which proved thesis writing service to be useful for me in the future.